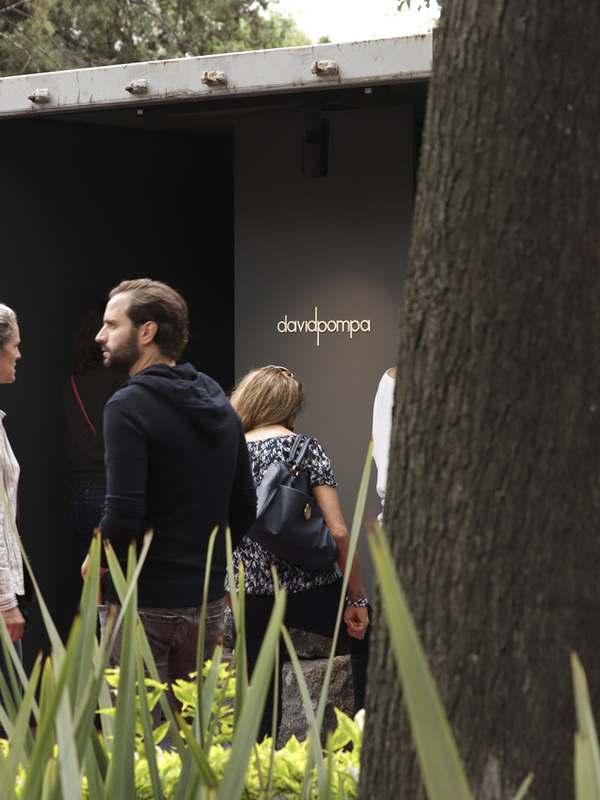 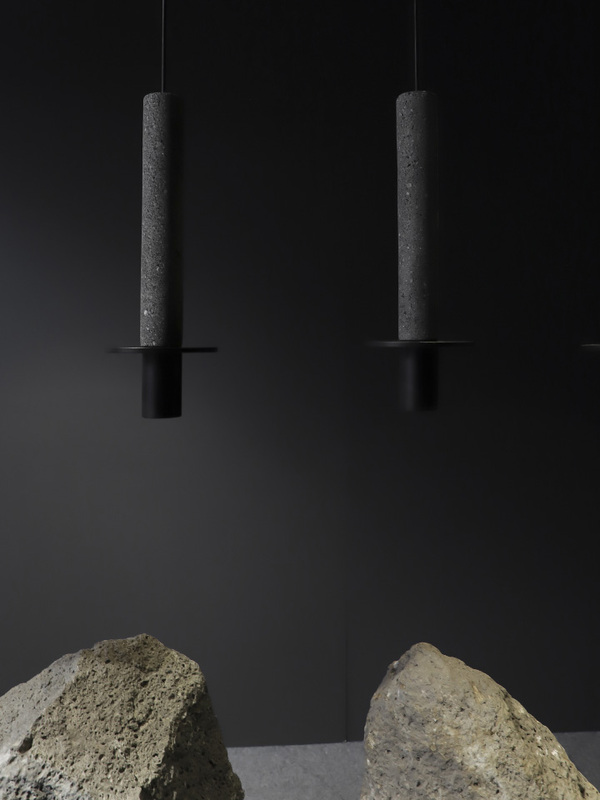 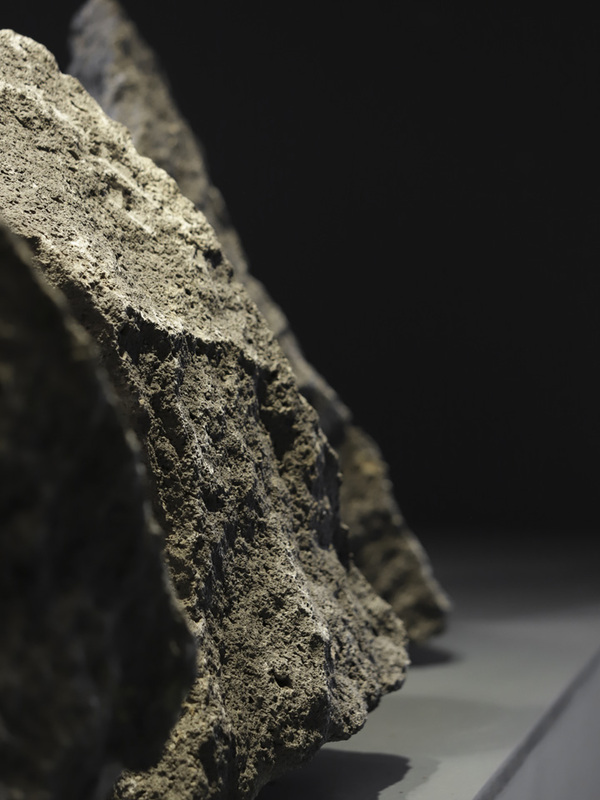 In the heart of Polanco, at Lincoln Park, Studio davidpompa presented Meta volcanic rock lamp. 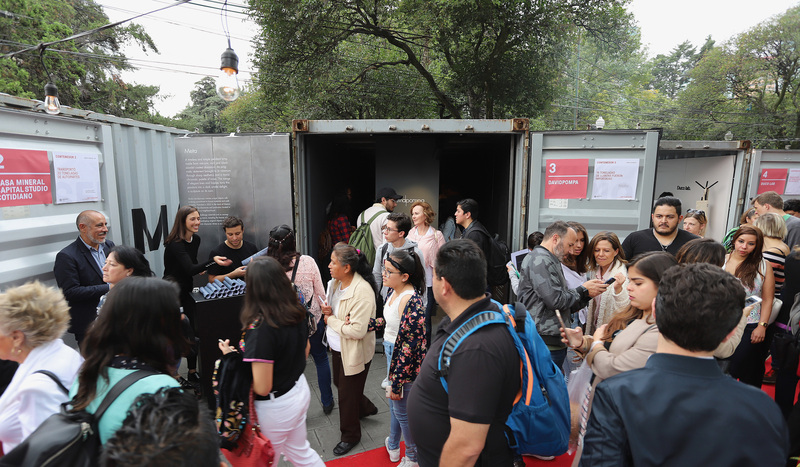 Becoming almost a tradition for a fifth consecutive year, the container was transformed into a temporary installation during 2 days. 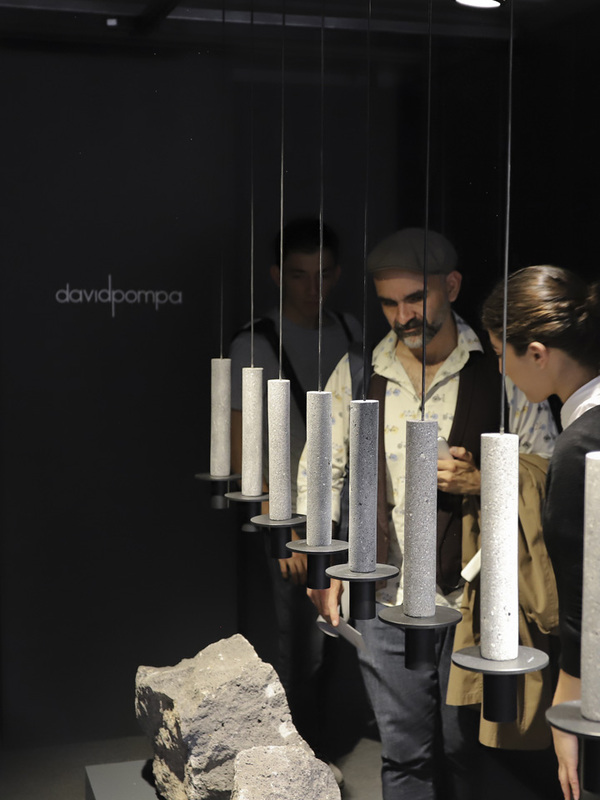 Curious visitors entered the space observing an aligned row of Metas illuminating underneath heavy volcanic rocks, also arranged in a row below. 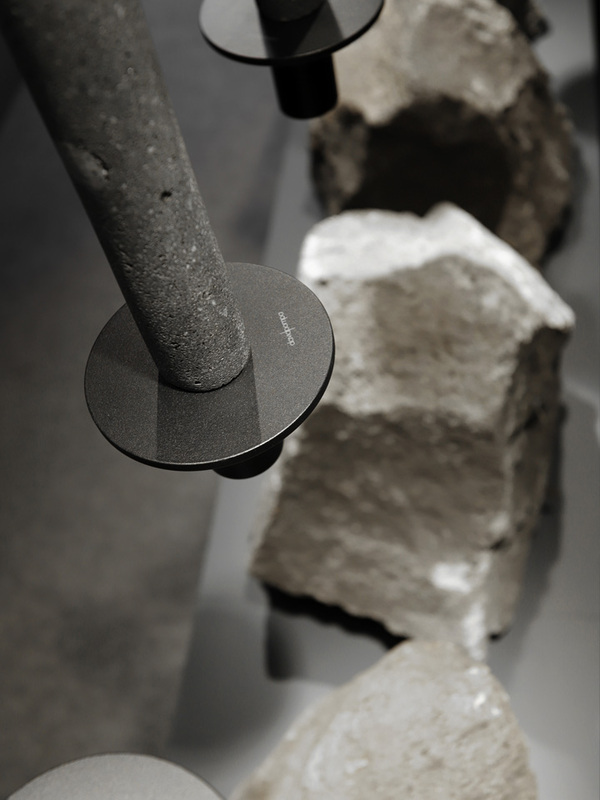 The contrast between raw materials and finished products exposed clearly the link between them and their process. 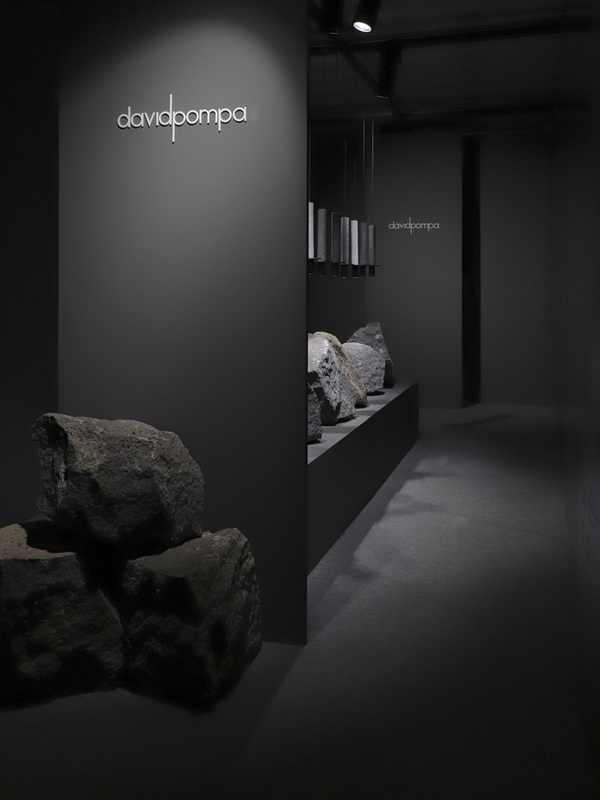 The monochromatic space reinforced the aesthetics and subtlety of the material, the form becoming the center of attention. 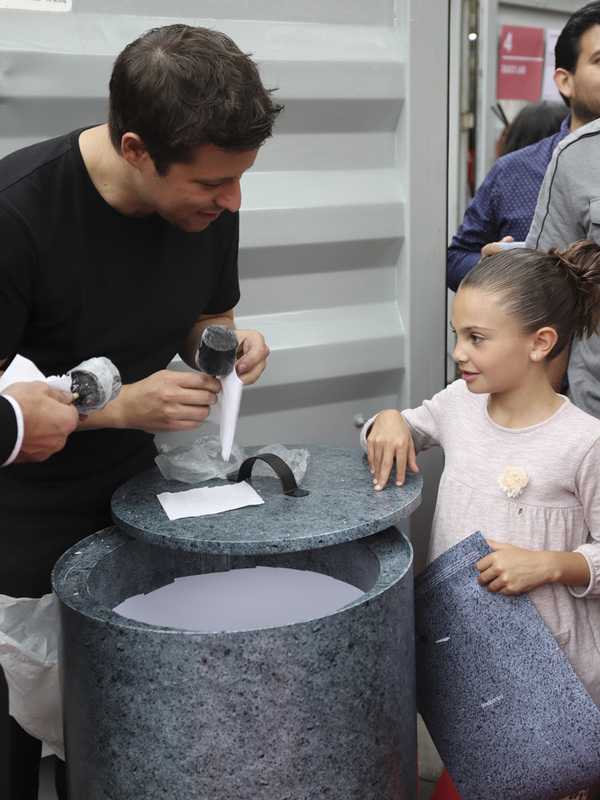 Accompanying the event, surprising volcanic rock ices where given away to all our guests. 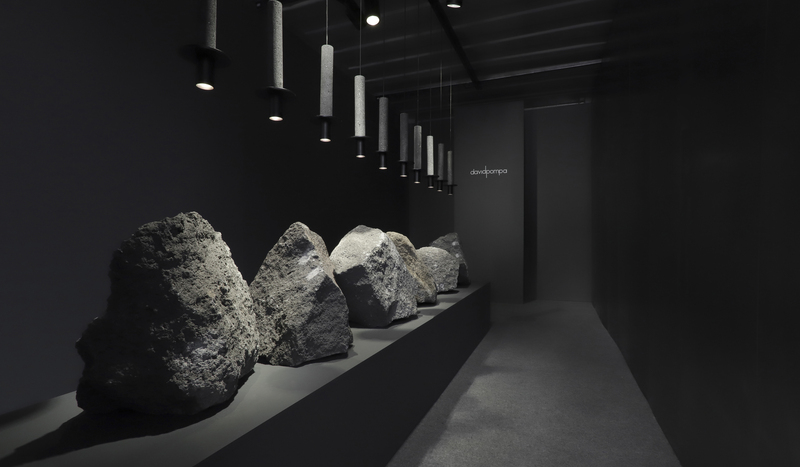 The space was transformed into a monochromatic temporary installation, a process and texture experience.